Full disclosure: I am a Christian. Every baptism I attend, I renew my vow to follow and obey Jesus Christ as my Lord and Savior. When I was ordained a priest, I made another vow, to pattern my life in accordance with the teachings of Christ. So that I don't just make it up as I go along, I also vowed to be diligent in the reading and study of the Holy Scriptures. I'm telling you -- I'm serious about this. Just so you understand -- that means I am a Christian first, an American second. When I vote, my faith determines my vote. 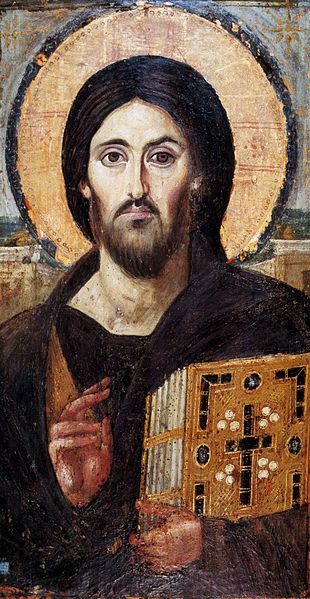 In my reading of the Holy Scriptures -- and I read it a lot, and I read the whole thing, and keep reading it to catch things I missed the first and second and twentieth time round -- it is very clear. According to Jesus and the prophets, a nation will be judged not by the private morality of its citizens, but on how the nation itself treats the most vulnerable in its midst. When I vote, I am voting for policies that determine how my nation will be judged, because I believe this nation will be judged. Since this is a democracy, as a citizen, I also bear some responsibility for what happens in this nation, and expect to share in its judgment. So I am voting for people whose first priorities will be the hungry, thirsty, alien, poor, sick and those in prison. Because those are the priorities on which we will be judged. Matthew 25. Got that? So I am voting for mental health. We throw around a lot of words, but behind these words are real people. I know some of them. Even if I didn't. I am commanded, by somebody I have vowed to obey, to do for them what I would have done for me. Medicaid, veterans, parity, research, access to health care, including sufficient professionals to provide mental health services -- there is a lot at stake in this election. 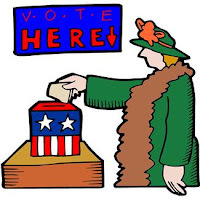 Follow the link to NAMI's What's at Stake in the 2012 elections? for the details. Then decide who you think has the same priorities as Jesus and the prophets. I am not assuming anything here, just telling you where I stand. Maybe you share these priorities, maybe you don't. But figure it out. And be honest about it. Hope for a Cure? Or Not?